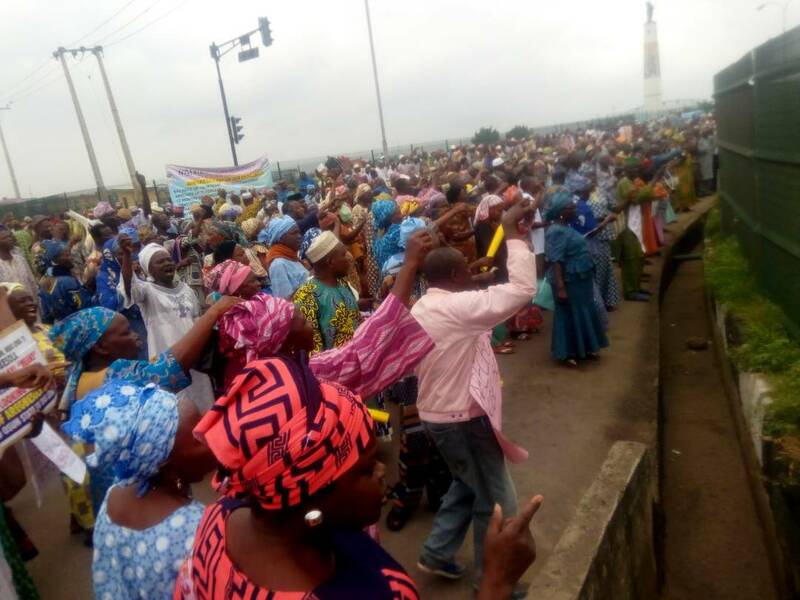 Retirees in Osun State have protested the non-payment of their gratuities and pension arrears by the Governor Rauf Aregbesola led administration in the state. 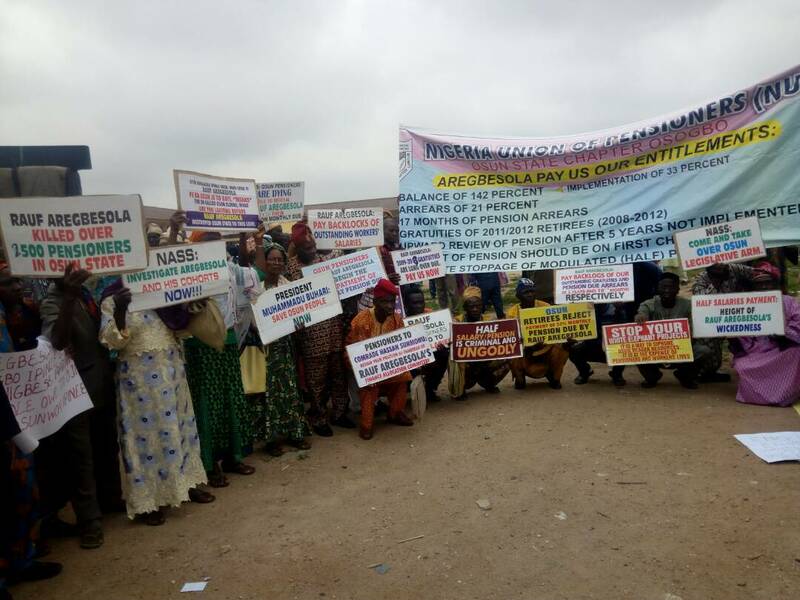 The senior citizens said the protest would last for the next three days while accusing Aregbesola of siphoning tranches of bailout funds released to the state by the Federal Government. 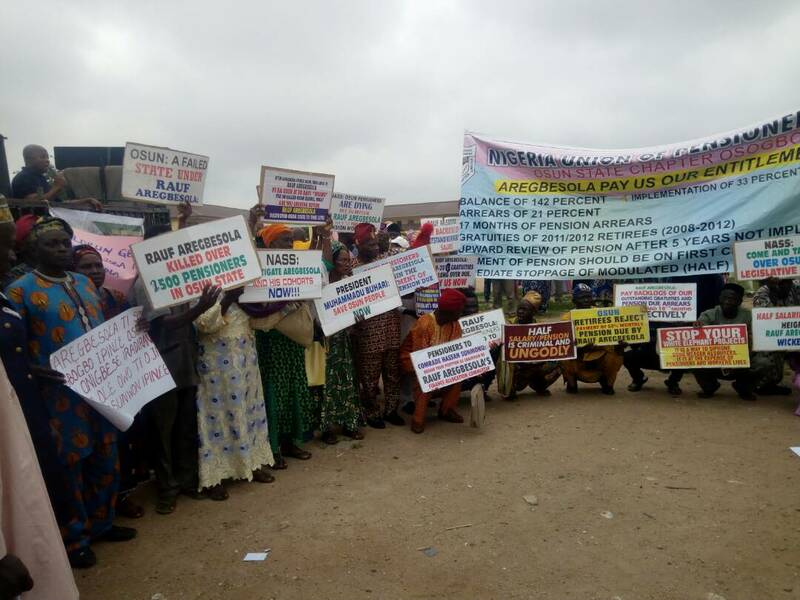 The pensioners commenced their protest at Ayetoro junction while armed with placards with varying inscriptions including “Aregbesola, pay our pensions, our members are dying; over 2,500 of our members have died, stop the avoidable deaths; Aregbesola, where is our bail out”, President Mohammadu Buhari, save Osun People now’, ‘Enough is Enough, Governor Rauf Aregbesola, pay us our gratuity’ among others. 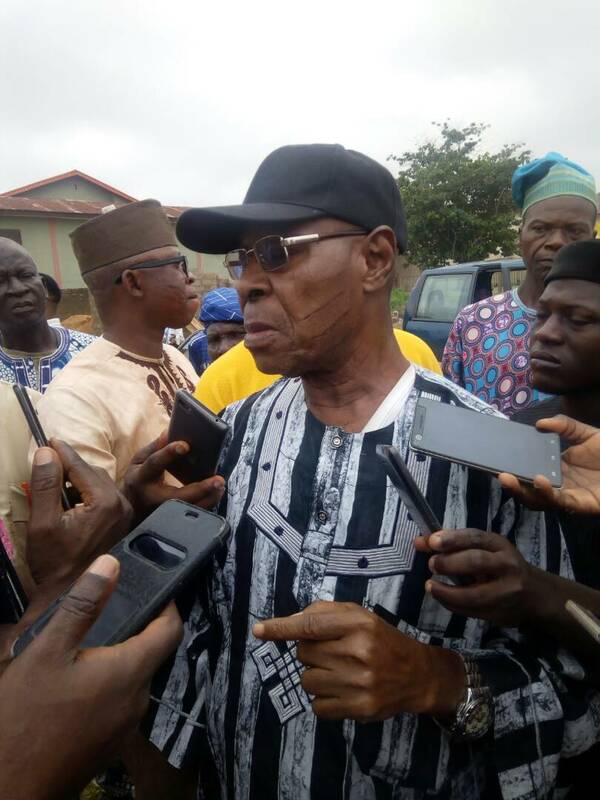 Addressing journalists, the Chairman of the Osun state branch of Nigeria Union of Pensioners (NUP), Prince Ganiyu Salawu, said the government is presently owing over 18 months pension arrears with huge gratuities. He accused Aregbesola of shortchanging them, insisting that several billions of naira released to the state by the Federal Government in form of bail out, Budget support and Paris Club refund for the purpose of offsetting several workers’ arrears in states of the federation were siphoned. Comrade Salawu said the non payment of pension arrears and gratuities of his members have resulted in over 2,000 deaths of pensioners in the state, calling for an urgent intervention of political stakeholders in the state. According to him, “It was noted that Governor Aregbesola and the labour unions have perfected how to completely enslave the innocent workers. The level of suffering is alarming and unimaginable. “The essence of federal allocations is to cater for the welfare of the people for them to live good life, in the contrary, Aregbesola has used money meant to pay salaries and pensions to execute inflated contracts to satisfy his selfish interest. 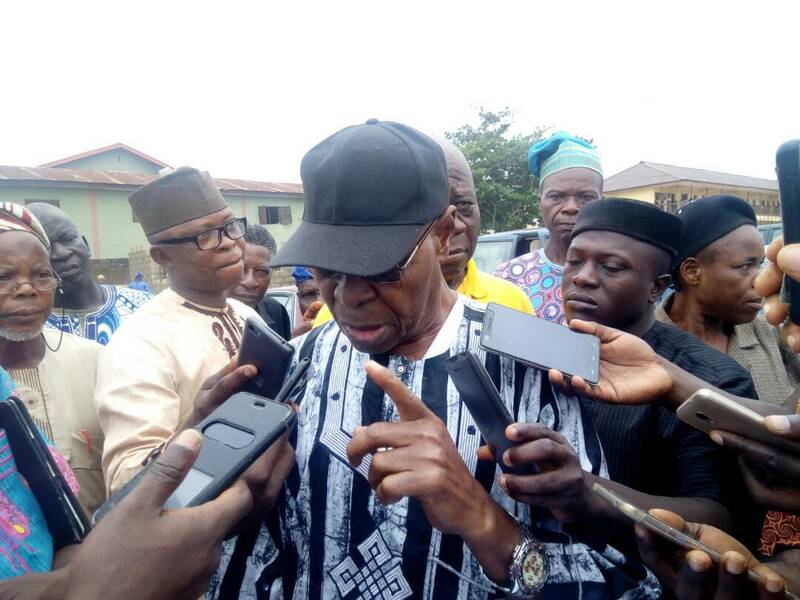 “It was also very sad that we have dishonourable members in the Osun State House of Assembly, those who could not protect the interests of the people they represent. “He remarked that if they have serious representatives in that parliament, how come the governor incurred that huge debt under their nose, and nothing could be done to prevent such financial recklessness."